Welcome to Raising Saints — and to the second chapter of this Ancient Faith Radio podcast! 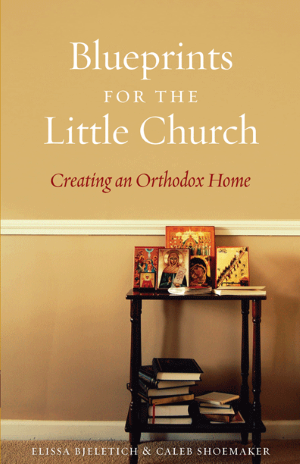 The first direction is to create practical materials that families can use in the home to enrich their family’s experience of the faith, like my book with Sebastian Press, Welcoming the Christ Child, which is a collection of Bible Stories that lead us through the Old Testament, tracing the prophecies and archetypes that show us the way to the Messiah. Each story is intended to be read aloud as a family, and finishes with questions to inspire discussions — and again this year, we’ll be selling the book with sets of ornaments so that you can enrich your family’s experience of the fast with a truly Orthodox Jesse Tree. 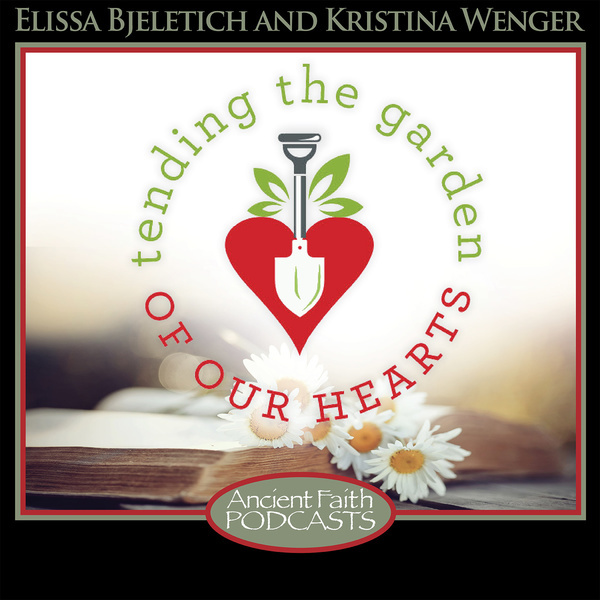 Or perhaps you’ve been listening to our Tending the Garden of Our Hearts podcast, where Kristina Wenger and I offered daily meditations for children and parents throughout this year’s Great Lent. I like providing useful, direct materials for teaching our children in the Little Church in our homes, and I also like to talk more generally about philosophies and strategies for family life and religious education. You can see this in the books I’ve written for Ancient Faith Publishing, like In God’s Hands and Blueprints for the Little Church — each of them talk about the struggles of parenting in different ways. Over the years, I’ve been doing both of these things on Raising Saints, and perhaps it’s become a little bit disjointed and unpredictable. Add to that, I’ve been working hard on some related projects over the past year, like hosting a new call-in show on AFR called Everyday Orthodox, helping out with a Y2AM curriculum, with a curriculum for my own parish Sunday School, as well as those readings for the Nativity Fast and the Lenten podcast for families, so there haven’t been as many posts on the Raising Saints podcast. But Raising Saints is my real home and one of my favorite things, so I want to take better care of it. So now it’s time to take stock and get some clarity, so I can pursue both aspects of my interests and goals a little more clearly, and so that I can make sure that Raising Saints isn’t lost in the shuffle. 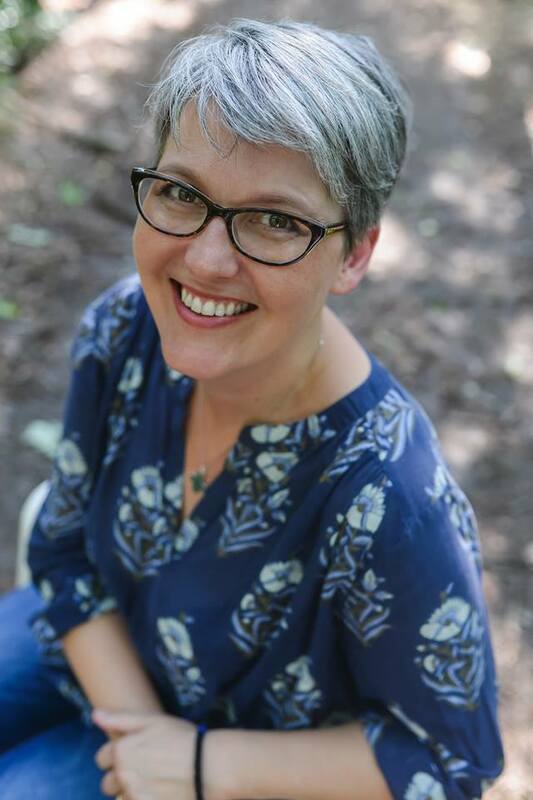 So here’s what you can expect on Raising Saints: I’ll be posting monthly episodes here, and they’ll be aimed at parents and those who work in religious education and formation. We’ll be thinking about strategies for reaching children and for cultivating the faith in their hearts. We’ll ask ourselves what that really means and look carefully at how we’re working on that now and how we could do better. But watch for me in other places too. As I have mentioned and as many of you already knew, this year we tried something new for Great Lent: my friend, Kristina Wenger and I produced a Lenten podcast for families this year. 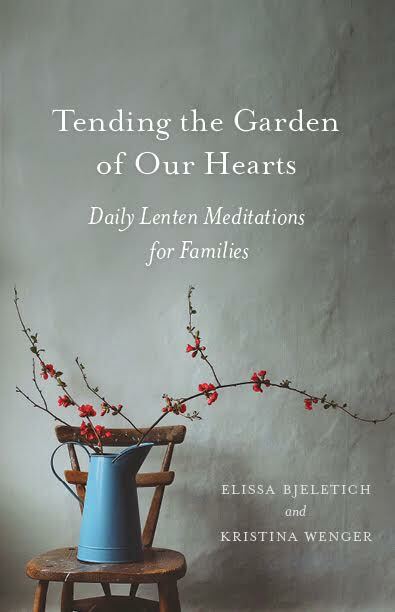 Tending the Garden of our Hearts, was a daily Lenten meditation series for children and their parents. Every day, we’d tell a little story or teach a little lesson, and follow it with questions to get the kids talking — and it was our hope that when the episode ended, the conversation was just beginning at home! If you missed it, don’t worry — all 101 episodes are archived on Ancient Faith Radio in the ‘Specials’ section, and you can listen to them now! I know that a lot of Sunday School teachers contacted me to share that they worked as helpful lessons for the classroom too. Kristina and I loved working on this project and found it very edifying personally, and we heard from so many families who found themselves having deep and interesting spiritual conversations with their kids at the dinner table and in the car, and we knew were onto something. The concept of a podcast directed right at families works. I want to work on materials that teach Orthodoxy in its fullness and complexity, without dumbing down the richness and beauty of the faith, but which are clear enough that our children can understand them and make them their own. And that’s why Tending the Garden of our Hearts is now becoming a real, year-round, weekly Ancient Faith Radio Podcast. Every week we’ll release an episode for your kids. Episodes will come out on Sunday nights, and whenever it works for your family you can listen during the week. We’ll tell the stories of Saint’s lives, talk about upcoming feast days, consider some of the daily readings that fall during the week — it will be something different every week, but always timely and interesting. At the end of the episode, we’ll offer questions to help reinforce what they’ve learned and to spark a conversation in your household. And in addition, now you’ll have Tending the Garden of Our Hearts as a year-round resource to keep the conversation going in your homes. I’ll still be right here at Raising Saints, but episodes will be directed at adults and will focus on parenting issues and ideas about religious education and youth ministry. In addition to these two podcasts, I’m hosting a third podcast on Ancient Faith Radio. It’s called Everyday Orthodox, and it’s a live call-in show that airs on the first and third Thursday of every month. We started up last Fall, and you can hear all of our past episodes archived. We’re sharing the personal stories of everyday Orthodox people—from the movers and shakers to the prosphora bakers! Everyone has a story to tell, whether it’s a love story, a war story, a comedy or a tragedy, a tale of an immigrant’s struggle or a heartfelt conversion story. The Church is a community of human beings with unique personal narratives and perspectives, and the more we understand and appreciate one another, the better unified our community can be. 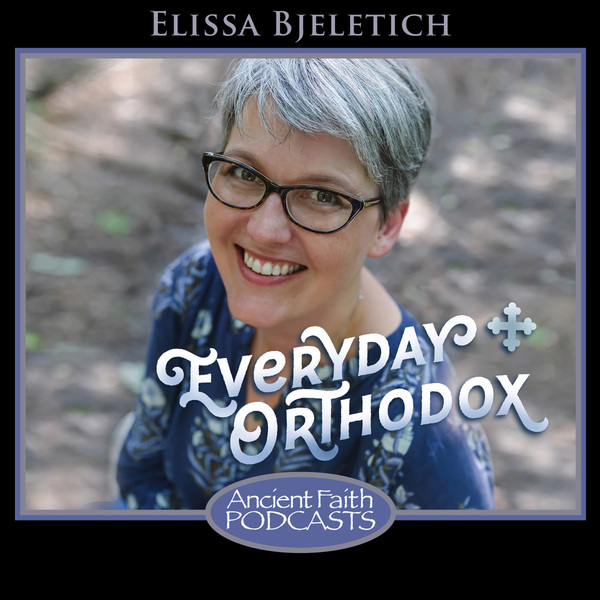 We’re connecting the members of the Body of Christ, by exploring the stories of the Everyday Orthodox, and we hope you’ll join us by listening, and by calling in with questions. I’m excited about this project because I think it’s important — I think that God’s goal is our goal, to live in real communion with one another. You may already know this, but on any Ancient Faith podcast, if you go to the Ancient Faith Radio website or if you are on your phone’s podcast app, you can search the podcast and then click to ‘Subscribe’. If you subscribe on the website, we’ll email you a link every time a new episode is available. If you subscribe on your phone, the new episodes will just be there for you whenever you’re ready to listen. So if you’d like to stay up to date on any of the three podcasts I’m doing, be sure to subscribe! And if you like what you hear, do me a favor and leave a review on iTunes or whatever service you’re using. If iTunes gets enough positive reviews, they’ll start making the podcasts more visible to a wider audience. So whenever you love a podcast, do what you can to help promote it! And if you’re on Facebook and Instagram and Twitter, I’m there too — look me up! Tending the Garden of our hearts was just as valuable, if not more so, for my husband and me. We learned a great deal and were challenged throughout the fast. Thank you for the rich, quality material you are presenting. What a gift and blessing! Thank you so much, Leah! How encouraging to hear! We are enjoying writing and recording these episodes because we learn so much from them! Glory be to God, and to this rich faith He has given us!